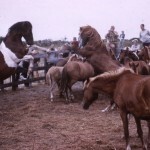 For many years there has been speculation about the provenance of the Outer Banks ponies. Certainly the earliest colonists introduced horses to coastal North Carolina. 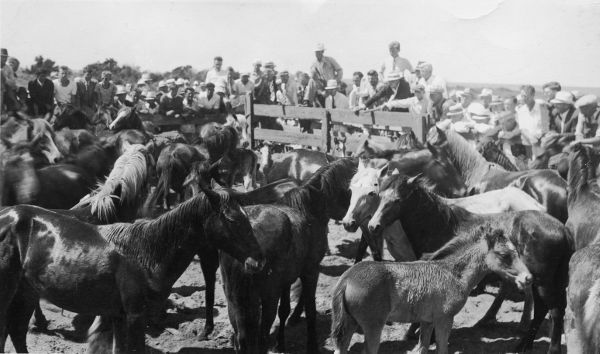 The legend has it that these “Banker” ponies (found only on the Outer Banks; hence the name) are the result of shipwrecks in the 16th or 17th centuries, when animals would be thrown overboard in order to lighten the shipwrecked vessel. 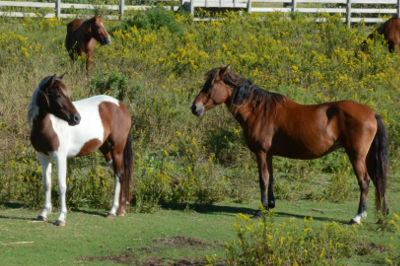 Although the Ocracoke ponies have been crossed with other breeds, Spanish mustangs provided much of the original breeding stock. These horses are unique; the number of vertebrae and ribs differs from other horses. They also possess a different weight, posture, shape (which is very distinct), and color, which sets them apart. 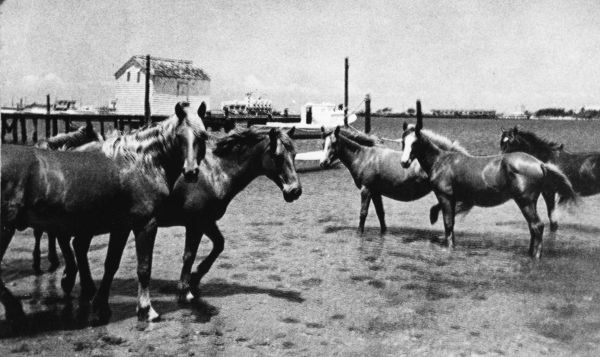 No one knows how long these horses have been on the island–maybe for as long as 350 years. 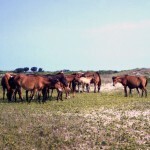 The first European settlers to Ocracoke in the mid-18th century recorded the presence of horses, and at one point, there were as many as 300 horses on the island. 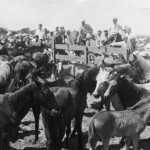 The uses of the ponies were wide and varied. 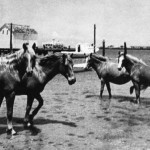 Early settlers used the horses to pull heavy carts filled with freight and fish, and the Lifesaving Service and the Coast Guard used them for beach patrol. 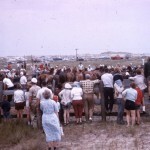 They were used for work, but they were also used for play as well, such as races on the beach and general riding. In the 1950s, the Ocracoke Boy Scouts (officially called Mounted Boy Scout Troop 290), under Scoutmaster Marvin Howard, became the only mounted boy scout troop in the United States. Each individual Boy Scout had to capture, tame, and then care for his own horse. 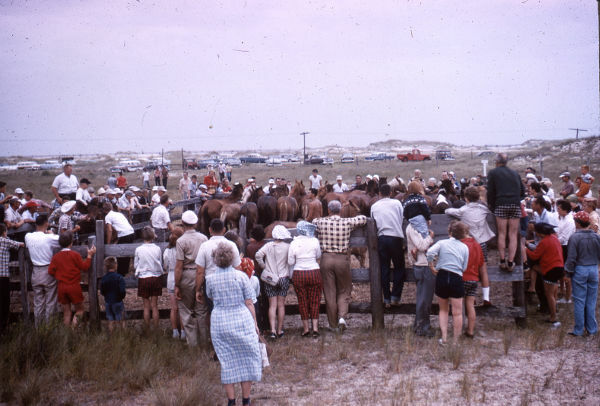 The horses roamed free until 1959, when the law required the horses to be penned in order to protect them from traffic (Highway 12 was constructed in 1957) and to keep over-grazing from happening. This did not mean, however, that the ponies would not still be used. 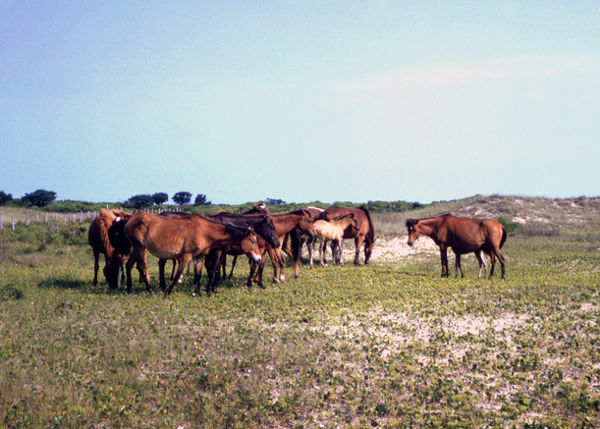 Rangers used them as mounted patrols in the 70s and 80s, meaning that the Cape Hatteras National Seashore was, and still is, the only park service unit in the United States to have used native ponies as their service horses. 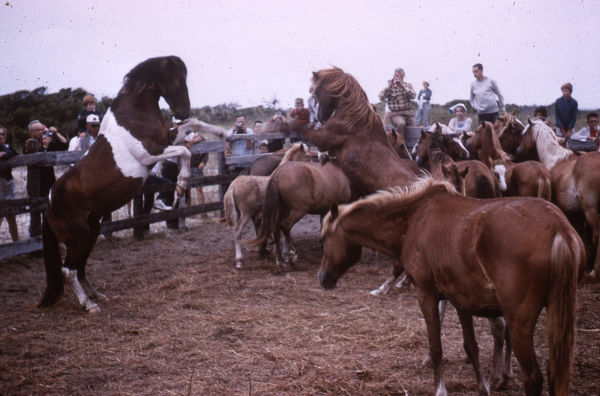 Since the 60s, the National Park Service has been in charge of the remaining horses. Their pen consists of up to 180 acres of land for the horses to roam. This pen can be visited and the horses seen from two tall viewing platforms, and is located apporimately seven miles north of the village along Highway 12.